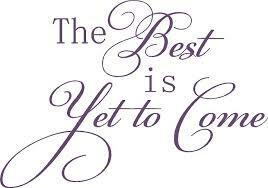 God said don’t worry about what has yet to come to pass. There is nothing that you should be worried about. Your season of opportunity is almost here. God said fret not over the things you lost. Fret not over the things that fell to the waste side. Fret not over what you didn’t have or received in life. Worry not about money. God shall supply all of your needs and more. For when your season come, no man or devil in hell can stop it. He did not bring you this far to forsake you. Be patient, diligent and faithful. You will reap your rewards in due time. 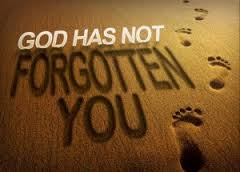 God has not forgotten about you. Never covet over what anyone else has, for when he blesses you it will be in full measure and overflow. Your blessing is too big to settle for what every one else has. Everything you shall have will be on a higher level. You have been chosen. Fret not about the former things for God shall do a new thing in you. What bags from the past are you carrying thats dragging you down? 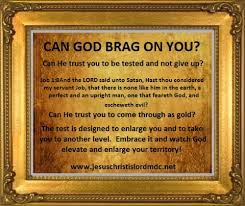 What are you holding on to that is limiting you from recieving God’s best? Over the years, we can collect baggage from people and painful experiences without knowing it. Baggage can create clutter which leaves no room or space for the blessings of God. This can include opportunities, divine relationships and connections. Don’t allow the baggage of your past to rob your joy of the present and future which is a gift. 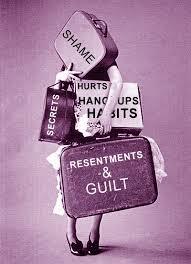 Baggage is a hinderance that has the power to block your blessings. Let Go and Let God. Remove the baggage thats straining you down from going further. Open your emotional wounds to God, so that he may be able to heal them. Allow God to take complete control. Is there anything too hard for him? Let go of the baggage of your past. One of the most difficult things to do is to stretch out of your comfort zone. It is easy to stick with what we are familiar with rather than taking big steps of faith. 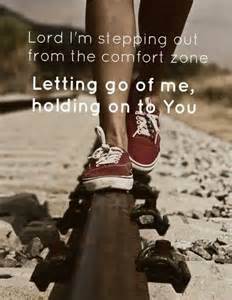 Leaving out our comfort zone can be difficult, illogical, uncomfortable and painful. The temptation of going back to familiar territory forms some type of security and safety. You must go beyond further in order to go to the next level. The process will be painful but it will all come together for the good when all of the ashes clear. Stretch further to reach an higher elevation in life. You are above and not beneath. Sometimes we hinder and limit our own growth by not stepping out of our comfort zone. Remember to reach further. There are some things, ways, and people that we cannot go back to in order to receive the fullness of God. Your later days shall be greater than your former days. Everything happens for a reason. Everything always come together for the good including the bad things that you experienced in your past. Don’t allow yourself to fret over what hasn’t worked out, for God ways are greater than our ways. His thoughts are not our thoughts. God wants to know would you be able to trust him even when the answers to your prayer has not yet came into manifestation. Can you trust God enough to allow him to do things his way and in his timing? You have not experience your best days yet. Your past is only a stepping stone for the better things to come. You are an overcomer. It is written in 1 Corinthians 2:9 (KJV), But as it is written, Eye hath not seen, nor ear heard, neither have entered into the heart of man, the things which God hath prepared for them that love him. Cherish what you have. 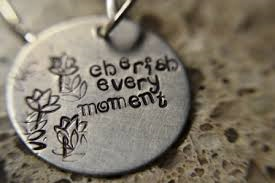 Cherish your life, moments, lessons and the people around you. There is a saying that you never know what you have until its gone. That statement is true however, if you greatly appreciate your blessings around you, then you won’t have to wait for anything to dissolve away to know what you have. If know what you have, you will treat it with such love, value, protection and honor. When we take things for granted, we are showing that we are unappreciative of our blessings. Don’t allow the comfort of your life to make you take anything for granted. Be grateful for the small things. God likes to see how you cherish the small things so he can see if he can bless you with something bigger. There will come a time in your life, where “normal” is something that you cannot get back. There are some things you cannot get back just like moments and time. When you have the opportunity, tell the people you care about, how much you love them. Most of all show God how much you are truly thankful for all that he has done. Be thankful that he is God and God alone. Cherish and honor who he’s made you to be on this earth. Don’t wait to cherish something until it gone. Lay all before God and honor him in your actions. Show him how much you treasure him in every hour of your life for you are not alone. No matter what situation in life occurs, everything is a choice. There will be a choice to make a right or wrong decision. For example, some one can go through the same terrible experience of having their heart broke, becoming laid off or suffer through some type of traumatic circumstance. What and how they decide to handle it is a choice they will have to make. They can either become bitter or better. Stronger or weaker. Getting over something is a choice just like not choosing to move on is a choice. No matter who was wrong. Your choices should not be fueled on emotions. Emotions can lead you astray. Do not fret over someone who has nothing to do with purpose. Making great decisions require you to do what’s best for the long term and not for a season. Can God trust you to make the right choices? Can he trust you over the small things? Can he trust you to not follow your feelings? Can he trust you to make wise decisions when no one’s looking? Great leaders are made by the decisions they make. Not by how they feel. Great leaders have discipline. Making great and wise decisions is critical to have in order to be an effective servant of God. A great decision can change your life. It’s easy to complicate the most simpliest things. It’s also easy to worry over things we do not have any control of. We complicate things when we lose our faith. We complicate things when we try to fix people and situations. We complicate things when we try to be the solution for everyone else. We can also complicate things by enacting on our emotions instead of God’s way. The best remedy is to give all to him. Rest and dwell in his peace. Allow things to fall in its place. Relax. He shall be with you even until the end of time. We make things much worse when we complicate things. Not everything has to be complex. Enjoy the simple things in life and allow no one to rob you of your joy and peace. 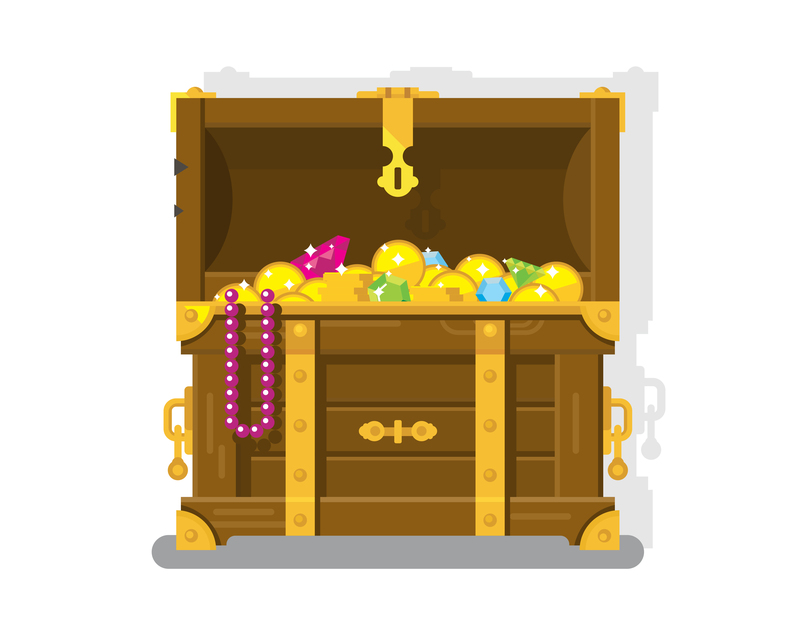 Those are precious treasures that no one can take away from you. Why make any situation more difficult than what it is, even through misunderstanding? Rest in knowing that God can handle any situation and that there’s nothing too hard for him. When we begin to handle it ourselves we complicate the situation. Allow him to fix it. You are not alone. Matthew 11:30 says His yoke is easy and his burden is light.